Click here to apply now for Spring 2019! 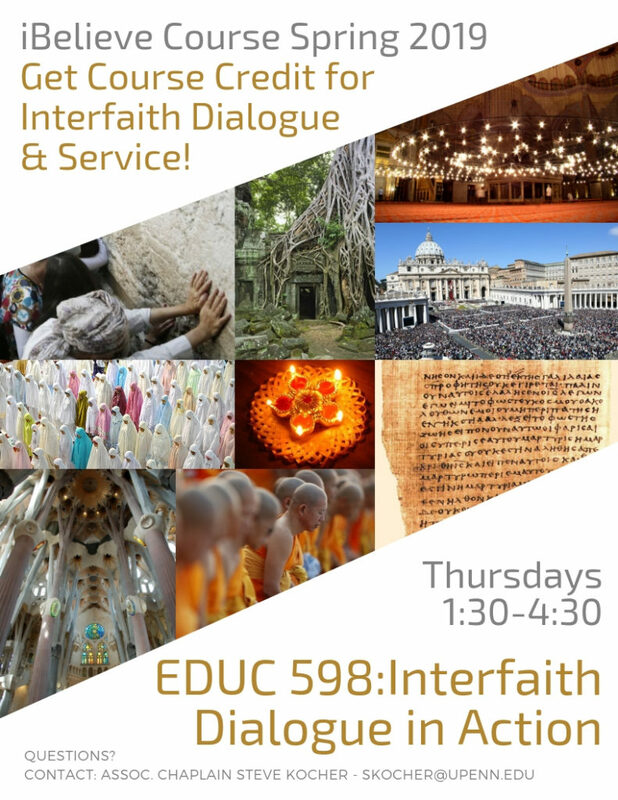 The iBelieve class, or as it is more formally known EDUC598: Interfaith Dialogue in Action, is a full credit course offered each Spring. The course has been designed to provide students with the opportunity to engage with one another across differences and in so doing gaining greater knowledge and personal understanding of different faith traditions, practices, and beliefs. Examine scholarship from anthropology, political theory, sociology and education concerned with issues of religious pluralism in the United States. Gain experience in facilitating dialogue about difficult issues, with a special emphasis on interfaith concerns. Develop leadership skills and the ability to enhance communication and collaboration across difference on campus and beyond. Put the fruits of dialogue into action through service, and in the process learn from local faith and interfaith organizations that are seeking to address social problems and contribute to the common good. Students of all religious and non-religious backgrounds are invited to apply; All Masters & Undergrad students are welcome. The course includes an overnight group retreat and a community service component. Contact our Associate Chaplain Steve Kocher with questions.